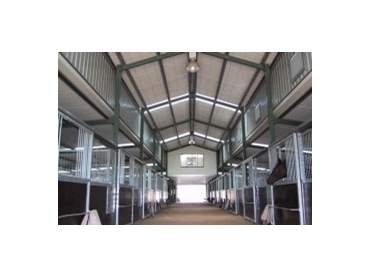 Trusteel Fabrications has specialised their horse stables to suit the requirements for safe stabling of horses. They put in place a standard fit out of stables or can liaise with other companies who specialise in stall fit-outs if that is required. Trusteel is not a reseller of kit components, but a manufacturer. Based in Victoria, they can demonstrate to visitors the manufacturing process and their ability to follow right through to the completion of these horse stables. There is no middle man involved.